We’re in the middle of winter now. If you haven’t already thought about the quality of your heating system, now’s the time to do so. When people think about breakdowns, they normally think they’re inconvenient but unavoidable—this is untrue. You can always avoid a system breakdown when you take the right preventative measures. If you want quality boiler maintenance in Mokena, IL then you should contact our team. We’ve been in the HVAC business for the past 70 years. Not only do we have expertise in everything heating, cooling, and indoor air quality, we understand how to apply our knowledge to the specific needs of homeowners here in Illinois. We custom-tailor our service to you and put the satisfaction of homeowners before anything else. Here’s how you can stop a breakdown from happening in your home. Did you skip your annual heating tune-up this year? Be honest. If you did, we understand. Sometimes you forget to schedule these services or procrastinate until the temperatures are so low that you figure it’s too late. We can ensure that these annual maintenance services are incredibly important. Annual maintenance allows a professional to take a close look at your system and find any problems before they become big issues. Even if you don’t think that you have any egregious issues on your hands, you need to have maintenance services done. 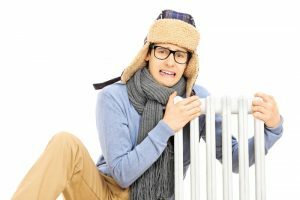 Problems aren’t always a furnace not starting or a loud knocking noise—sometimes they’re subtle and undetectable to those who aren’t a trained professional. When the temperatures are balmy and blazing in Mokena during summer, the last thing you’re thinking about is firing up your boiler, right? We get it. However, you should try running your heater just once to make sure that parts don’t seize up after a long time of standing still. It will help you avoid problems when you turn it on again in the fall. The cold weather here in Mokena often means that your pipes run the risk of freezing. When pipes freeze they often burst. We recommend that you insulate your pipes. You can consult one of our professional technicians to find out how to best do so for the pipe material in your home and point out the vulnerable places in your home. Our team will help you stay warm and safe no matter the circumstances this winter. This is a point not everyone talks about. The best way to ensure you’re always getting the most from your boiler is to really understand how it works. Dust off that old manual or even download a copy online. If you still feel like there’s more for you to learn after you read up on your system then call our team. We pride ourselves on having incredibly educated technicians that are also friendly and willing to help when you need them. We have the best boiler maintenance services in Illinois so when you need a great team, be sure to contact Johansen & Anderson Inc.